Shiraz, the City of Roses, is also famous for carpets made with, vibrant colors, compact pile and high luster Persian wool. Nasiri Shiraz designs are extremely simple and uncluttered with large fields, bold stripes and geometric shapes that are sophisticated and primitive. 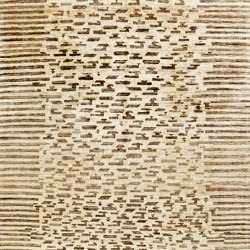 The Shiraz carpet is a favorite of contemporary designers because of its beauty and utmost simplicity. 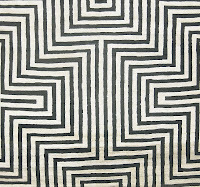 Kilim are elegant tribal flat weave carpets characterized by tightly woven, geometric designs. 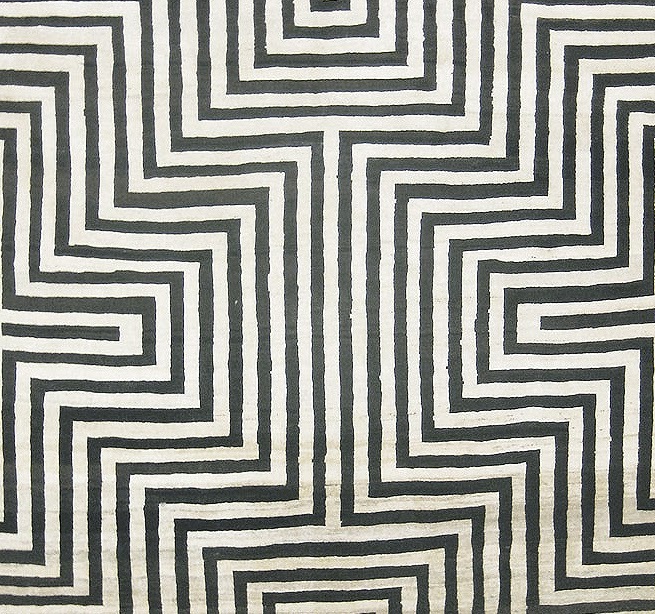 The pattern is created by the weft threads, which are spun looser than the warp and are completely covered when packed together. The Nasiri Kilim is made with organic Persian wool and natural dyes, our muted palette conveys ease and grace in any setting. The pattern on this carpet is hypnotic. Love seeing the optical illusion. Almost like it's coming to life.